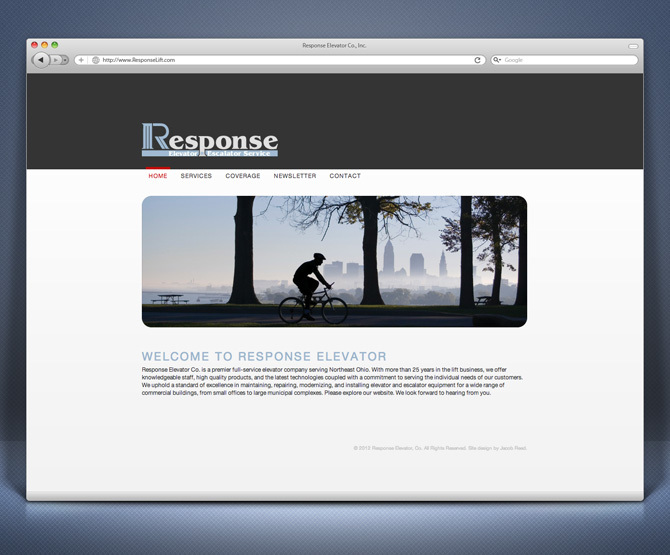 Website for Ohio based Response Elevator & Escalator Service. After serving Northeast Ohio for more than 25 years, Response found they were beginning to lose business to less experienced competitors that had a stronger web presence. They needed a simple website that communicated the professionalism of their full-service company and matched the standard of excellence they guaranteed with their services. The full site as well as a built in blog component and contact page were integrated with a custom WordPress content management system, allowing even the mom and pop of this family-owned company to handle otherwise complex site updates.